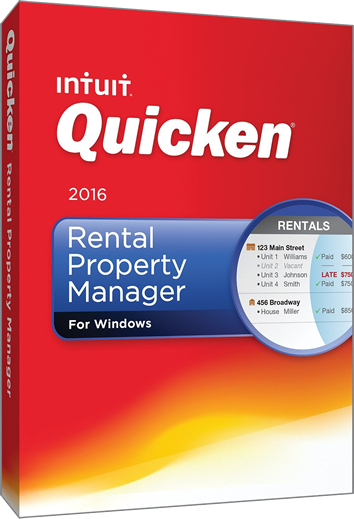 Quicken Rental 2016 on sale at Amazon. Amazon, an official Quicken reseller, just released the all new Rental Property Manager 2016 from Quicken and, you guessed it, it’s already on sale! You can now pick up a copy for yourself on sale for up to 35% off the list price (that’s a nice $60.00 off!). That comes out to be as low as $74.99 and you’ll get free shipping too (it retails for $164.99). This deal does not require you to enter a coupon code but is limited to quantities at hand. Prices may vary without notices be sure to visit Amazon.com for more details. Sale prices vary daily and may end without notice. Pick up Quicken 2016 at Intuit.com. Follow the above link to save $10.00 on any of the latest versions of Quicken from the official Intuit Store. So for Rental Property Manager it means that you’ll pay $154.9 vs. the list price of $164.99. You also get free shipping or instant download of your order, and you’re backed up by a 60-day money back guarantee just incase you decide it’s not the right software for your needs. This offer is available exclusively at the official Quicken Store at Intuit.com. See Intuit.com for full promotional details. Extra $20 to $50 off with the Intuit bundle. If you plan on using TurboTax this year to complete your 2015 tax return, then be sure to take advantage of the available bundle discount offered at several retailers when you buy TurboTax and Quicken together. The deals range from $20.00 off at Amazon up to 50% off at Intuit. Just follow the above link to learn more about the options available to you for 2016, the full terms and conditions, and where to find the best bundle deal this year. Offer expirations vary by store. at Frys.com and select stores. Similar to many of the other electronics and computer superstores, Fry’s also have a pretty good price match policy but it will need to be against a local or online authorized competitor for an in-stock item (will have to be in-stock in both stores). But if you qualify, they will beat the competitors price by 10%. Now, certain restrictions will apply so we recommended taking advantage of this deal at one of your local Fry’s locations. For more details on this price match policy or any of the other stores that have one as well, we recommend you follow the below link to become more familiar with the best stores to try. Your purchase covered by a satisfaction guarantee. We know, it’s not at al convenient that you can’t test out Rental Property Manager before you buy it due to the lack of free trials offered by Quicken. Even reading a review is not the same as testing it out especially if you’re new to the software. But that doesn’t mean that your stuck with it if you don’t like it. Intuit has a generous 60 day money back guarantee regardless if you purchased a copy from their store directly or from any number of their official resellers. To start the return process, simply follow the above link and fill out the required form. On average it will take about 5 business days for them to process your request. Certain restrictions may apply so see site for the details and terms of their return policy. Where can I get a student discount on Quicken Rental Property Manager 2016? If you’re addicted to using your student ID wherever possible (I must say that I’ve been guilty of that too), then Quicken is one of the few products where you will not find any student versions sold for cheaper. Because all of Quicken’s products are geared towards working professionals and small business owners (and in this case, to those that own rental properties), there are no student discounts available. However, we encourage you to see our full list of software brands that sell their products to students for less. In some cases, students can even get up to 75% off MSRP for the exact same software versions and the regular ones. Be sure to read the list of qualifications and proof needed to be able to buy at the educational prices. When will Quicken Rental Property Manager 2018 go on sale? 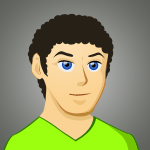 As it is always is with software, you want to be sure that you're getting the latest and greatest versions. That's why we have an entire team dedicated to tracking the latest release date news and rumors. As it now stands, we expect to see the 2018 versions of Quicken coming out between the end of September and early-November, 2017. The great thing with most software companies it that most offer 30-day free trial versions of their products. Quicken is a little bit different as they do not have the standard free trial versions available for Rental Property Manager or any of the other versions. Instead, they have a generous 60-day money back guarantee. If for any reason you are not completely satisfied with your order, regardless of where you purchased it, then you can request for a refund. We recommend you visit this page to learn more about the refund process and how to get started. Did you find a promotion that simply didn't work or seen a price change on Rental Property Manager? Then please report it to us. Although we check these deals on a daily basis, sometimes a price can change by the manufacturer. But just before you contact us, be sure that you are entering any Quicken special offer codes as they appear (they will often be 10-digit numbers). Other deals will require you to follow the discount link to activate the sale price.